By Connie Newton and Fran Early. 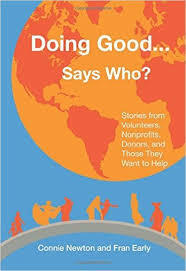 Based on 400 interviews, features experiences of both “givers” and “receivers” and uses stories, humor, analysis and a discussion guide to provide practical advice and guiding principles for turning good intentions into productive outcomes. Learn more.